Techies Sphere: Setting up reminder appointments in outlook calendar. Setting up reminder appointments in outlook calendar. 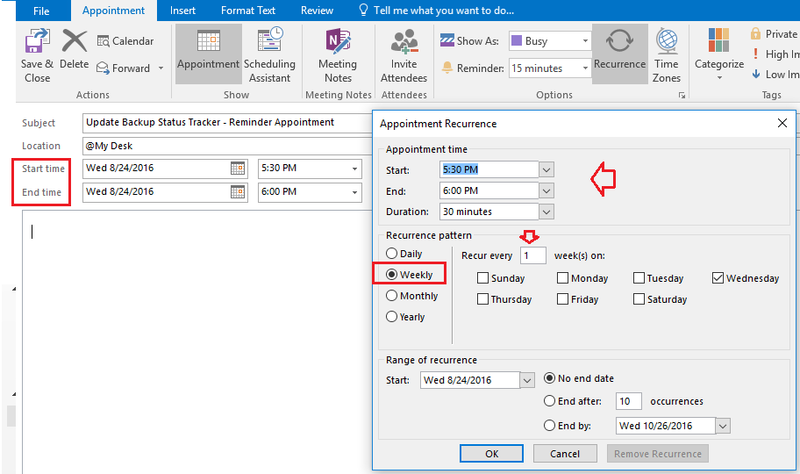 Or, How to set appointment or meeting re-occurrence in Outlook? Or, Managing Outlook Meetings, Reminders and Appointments. However, this is a very basic thing for every IT, non-IT professionals to know about these features of outlook, it became a challenging job for many of the professionals (specially for fresher dudes) to search for the options in outlook where they can set up some reminders, tasks, meetings, re-occurrence of meeting or reminders etc. 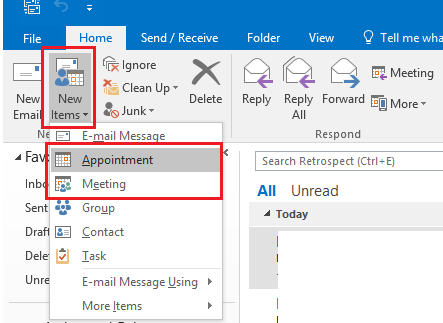 Here in this article I will give you some basic but very important idea about setting up reminders and meetings in your outlook calendar. Once the Calendar windows appears, please fill out all the required fields e.g. 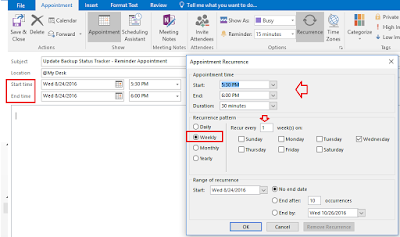 Subject, Location, Attendees, Start Time, End Time etc…> To Set re-occurrence of the meeting or appointments, Click on Recurrence button > Select the recurrence frequency e.g. Daily, Weekly, Monthly, Yearly etc.. > Click OK > Click on Save and Close. For any improvement, suggestion or query please write me back in the comment box. Cheers! !